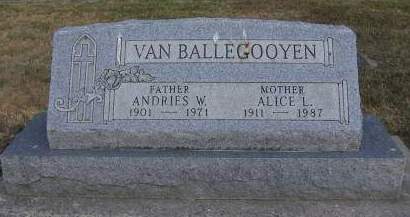 This Alice L Van Ballegooyen is not listed on findagrave.com Andrews first wife was also named Alice. SO creates some confusion. I would love to get her information posted on find a grave also. May I? Searching for ALICE L. VANBALLEGOOYEN in Sioux County Iowa?